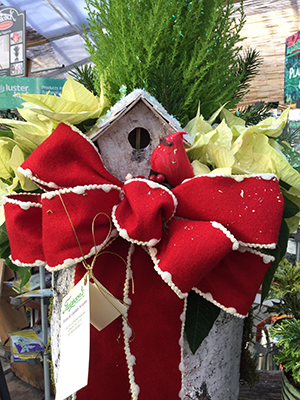 Botanical Beauties of the Season | Faddegon's Nursery, Inc.
Yuletide greetings bring beauty and good cheer especially when you celebrate with stunning plants and flowers. Poinsettias, Christmas cactus, amaryllis and ‘Shooting Star’ hydrangeas all show off amazing colors that last and last bringing warmth and comfort into the New Year. Our Holiday Plant Baskets make just the right impression no matter the size or style! Come in and see our terrariums, bromeliads, anthurium, and more all dressed up for the holidays with balsam & cedar, ribbons, sparkle, and unique containers. Our greenhouses hold a full array to choose from!